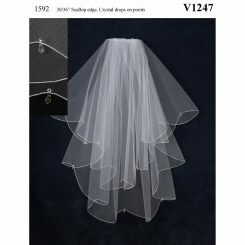 JL Johnson V6485 is a double layer, waltz style veil. 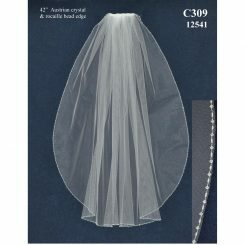 This is a 28/60″ circular veil; it features a 2″ horsehair edge. 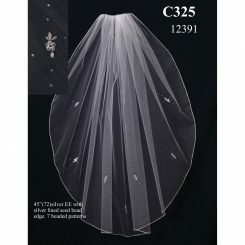 This veil is available in white or ivory. 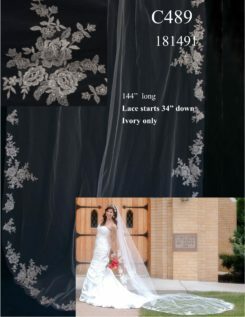 JL Johnson V6485 is a double layer, waltz style veil. 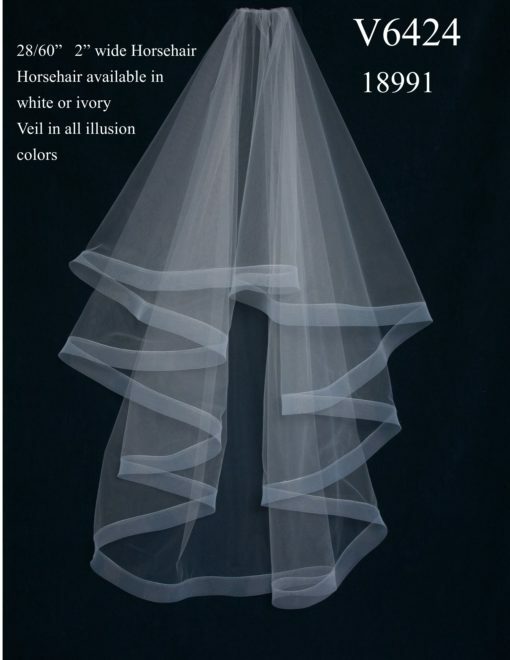 This is a 28/60″ circular veil; it features a 2″ horsehair edge. 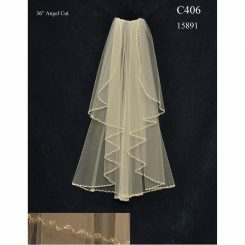 The beautiful cascading detail will adorn most dresses. 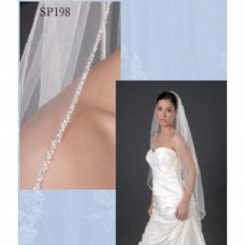 The double layer creates a fuller look to the veil. Veils are a fabulous way to frame you and your dress; this veil is soft and elegant which makes it the perfect frame. 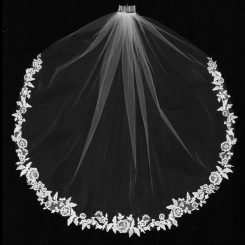 This veil is available in white or ivory. 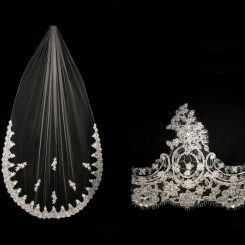 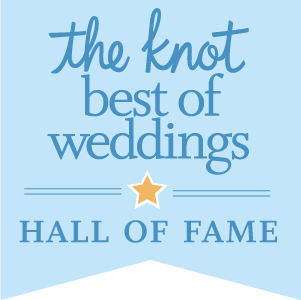 This veil can be lengthened or shortened to fit your ideal veil vision (call us to speak to a Dyeable Shoe Store representative if you would like to alter the length of the veil).